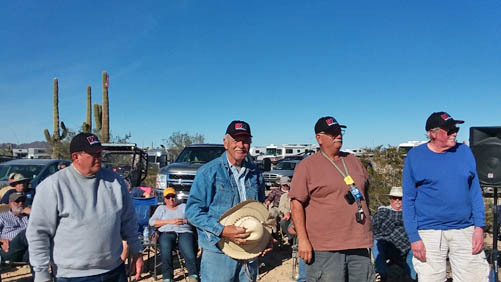 The Northern Arizona DX Association will be conducting a new radio challenge at the 2019 QF. The idea is to put all of those great antennas brought into the QF site to good use and see who can make the longest distance QSO from there. This will be a one or two day event starting Tuesday, January 22nd, and possibly again on Thursday, January 24. 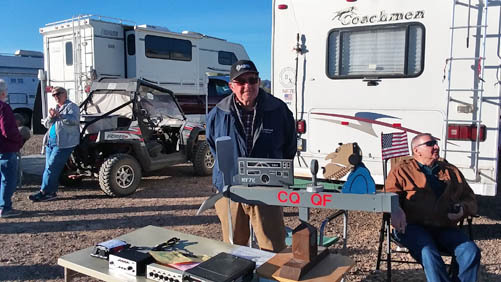 Bring your own radio and antennas or use the W7Q special event station to participate. Our biggest concern for this event is the possibility of creating QRM for the W7Q Special Event Station. The best way for this to work os to use the DX Code of Conduct's first rule; "Listen, listen, then listen again before calling"
Calling CQ all day will create way to much interference. Only your two longest contacts will be turned in each day of the challenge so making additional shorter contacts just create unnecessary QRM. If we create excessive QRM the challenge will be restricted to a single day. Making lots of QSOs is not the point. Rather, be selective and answer others calling CQ! You could make one or two QSOs and win the challenge. The restrictions are: You must be registered as a QF attendee. No assistance of any kind accepted, including theinternet, clusters, and spotting networks. No prearranged contacts. No use of phones, nor use of remote stations or antennas. You must stay at least 5 Khz away from the the W7Q station and you must not cause any interference while they are operating or you will be disqualified. There will be some small prizes and a lot of bragging rights going to the winners. The final details will be posted on the QF bulletin boards. This will be a fun and exciting challenge and we sure hope you will join us in this event. 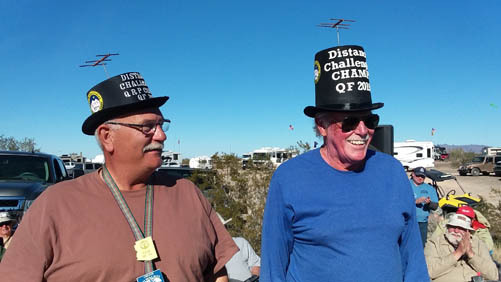 Please put your comments on the Quartzfest Facebook page to help us finalize the QF 2019 DISTANCE CHALLENGE! The Four Finalistswearing their DX Engineering prize caps.